David Thomas is Professor of Practical Theology & Apologetics. 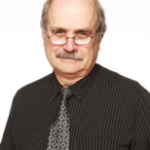 He has been a member of the faculty at WWU since the summer of 2001. He served as Dean of the School of Theology for seventeen years (2001-2018). He is now focused on full-time teaching and writing. Prior to joining the faculty, Thomas spent some 24 years in pastoral work in New England, and in Washington. 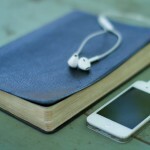 His pastoral experience ranges from multiple church districts to large, multi-staff churches. While pastoring in the east, he taught as an adjunct professor at Atlantic Union College for six years. He has served on many administrative committees at conference, union, and institutional levels. He has been a member of the Walla Walla College Board of Trustees. 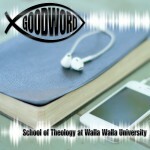 For more information about GOOD WORD contact the School of Theology at Walla Walla University by phone (509-527-2194), fax (509-527-2253), email (email us) or regular mail (Walla Walla University, 204 S. College Ave., College Place WA 99324).